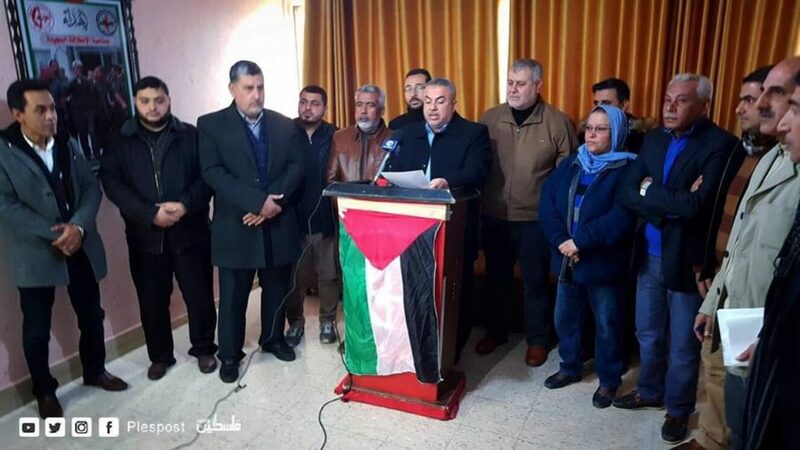 Press conference where the renewal of the mini-flotillas was announced (Palestine Post Twitter account, January 28, 2019). Supreme National Authority meeting to discuss land and sea activities of the marches (Supreme National Authority Facebook page, January 28, 2019). On the ground, so far Hamas continues to preserve restraint in the marches in light of contacts with Egyptian and UN representatives. In recent weeks the “return marches” have been held in their usual format, with increases and decreases in the level of violence used against Israel (but without a return to the former high level of previous months). Despite the threats, so far only isolated incendiary kites and balloons have been launched and the activities of the night harassment groups has not been renewed. Senior Hamas figure Musheir al-Masri spoke during mini-flotilla events, which were renewed after a four-week hiatus. He said the “return marches” were escalating. He said “non-violent” methods, such as incendiary balloons, would be used to exert pressure on Israel to force it to fulfill the lull understandings and not evade its commitment (al-Quds TV Facebook page, January 29, 2019). 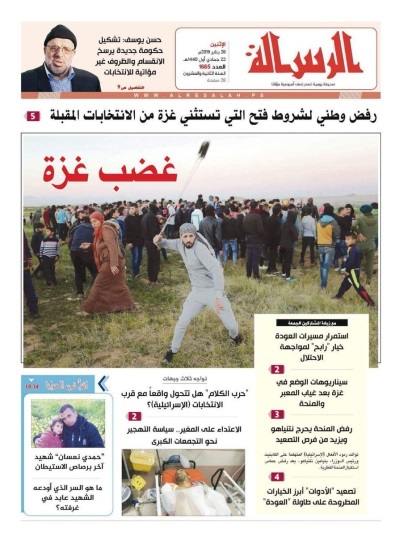 The front page of the Hamas organ al-Risalah, issue of January 28, 2019. One of the headlines reads, Increasing the use of various means is the most obvious alternative for the ‘return marches’ (alresala.net Twitter account, January 29, 2019). Khalil Nofal, a Hamas operative and member of the Supreme National Authority, said the Authority was examining all possible options. He said if there is an Israeli escalation the participants of the marches will respond by using [new] methods (Felesteen, January 27, 2019). 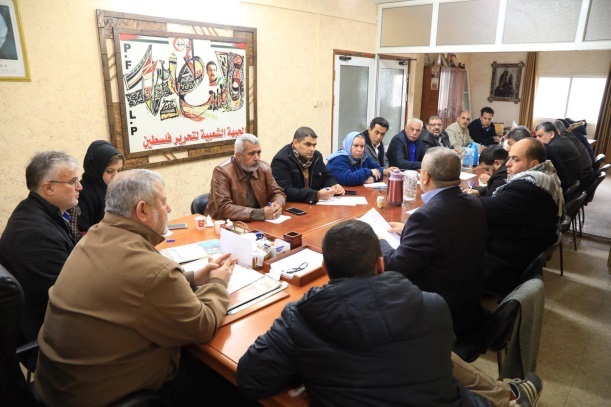 On another occasion Khalil Nofal said the Palestinians had the right to use all methods and means to achieve their rights, especially the “popular” methods used in the “return marches” (alresala.net, January 26, 2019). Ahmed al-Mudallal, a senior figure in the Palestinian Islamic Jihad (PIJ) and a member of the Supreme National Authority, said the alleged delaying tactics used by Israel would make the Palestinians rethink the use of additional methods in the marches. He gave as an example [renewing] the launching of [incendiary] kites. In addition, he said, the Palestinians have many “inventions” for harassing Israel (Felesteen, January 17, 2019). On another occasion Ahmed al-Mudallal said the Supreme National Authority was in consultation regarding the renewal of the night harassment groups’ activities and of launching incendiary balloons. He said there would also be new methods “to harass the [Israeli] occupation” (alresala.net, January 29, 2019). Maher Muzhir, a senior figure in the Popular Front for the Liberation of Palestine (PFLP) and a member of the Supreme National Authority, told the Palsawa website that the Palestinians had “enormous capabilities” they could use to exhaust the “occupation [i.e., Israel].” He claimed they would “work to increase the distress of the occupation by exhausting it” (gazaalan, January 26, 2019). Note: The statement was removed from the website the same evening it was posted. 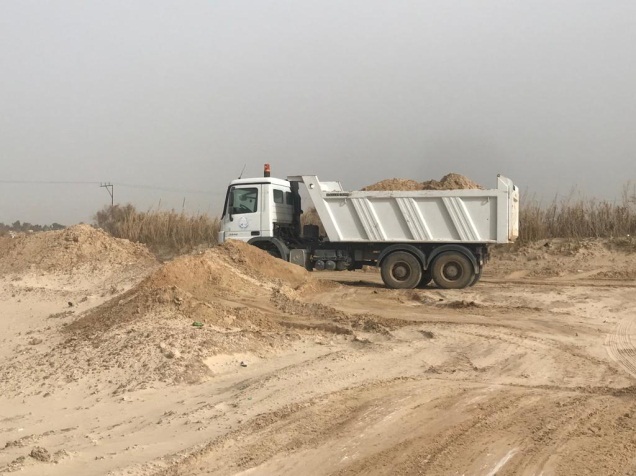 Hamas sources reported that if Israel continues to “refuse to recognize” the understandings between Hamas and Israel, Hamas will gradually escalate the activities along the Gaza Strip border. According to the sources, the escalation will begin by renewing the mini-flotillas. The next stage will be launching incendiary kites and balloons, and after that direct confrontations on the border, border break-throughs, and finally the destruction of the “wall” Israel is building along the border to combat the tunnels. According to the sources, the activities will be carried in succession before the general elections in Israel because senior Israeli figures are using the Gaza Strip for their election propaganda (al-Hadath, January 28, 2019). Mustafa al-Sawaf, a Hamas-affiliated commentator, expects the “return marches” to continue as long as Israel does not feel itself committed to the understandings reached with the regional and international mediators. 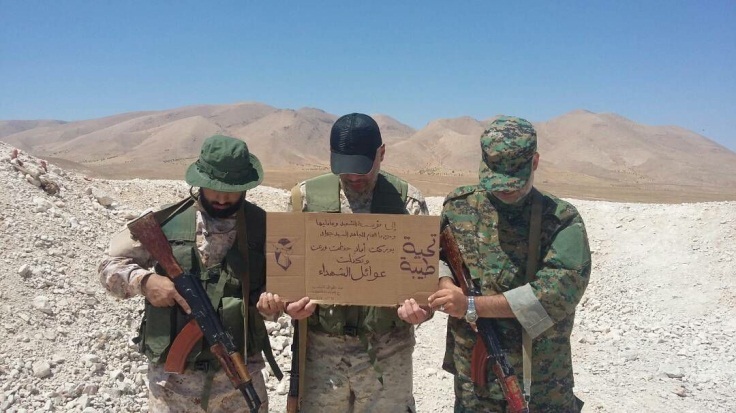 He said that the “return marches” will return to their initial format and the methods used in the past will be used again, with the addition of new methods against the “occupation” (Mustafa al-Sawaf’s Facebook page, January 27, 2019). 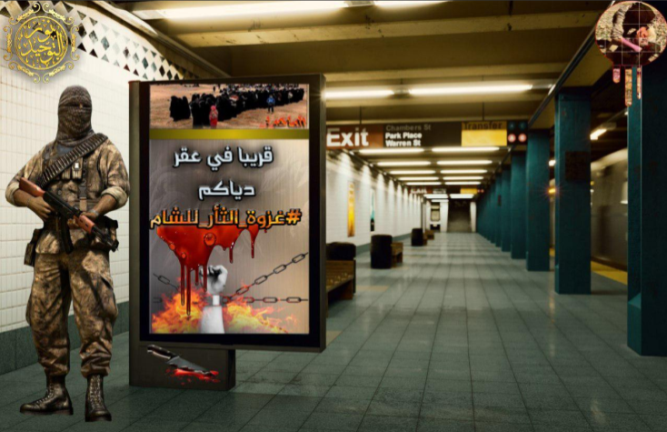 Ibrahim al-Madhoun, a commentator of Hamas’ newspaper al-Risalah, wrote that anyone who lives in the hope that the Palestinian people will become tired is mistaken. He wrote that the “return marches” and the willingness of the masses to confront the IDF will return stronger and greater than before. He also claimed there is a Palestinian consensus in support of Hamas’ policies [in that regard] (Ibrahim al-Madhoun’s Twitter account, Haniyeh 25, 2019); perhaps an indication of a possible rise in the level of violence. On January 29, 2019, there was a mini-flotilla with its accompanying riot on the shore of the northern Gaza Strip. 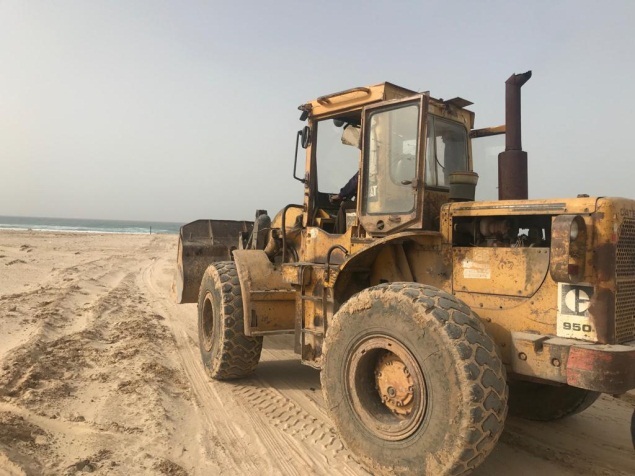 The events took place after four weeks without the weekly mini-flotillas because of what was described as “weather conditions.” The renewal of the demonstrations and riots in the northern Gaza Strip was accompanied by work carried out by heavy engineering equipment to level the ground where the Palestinians gather. Such preparatory work indicates a central plan for “popular” activity and the allocation of the resources necessary to promote it. 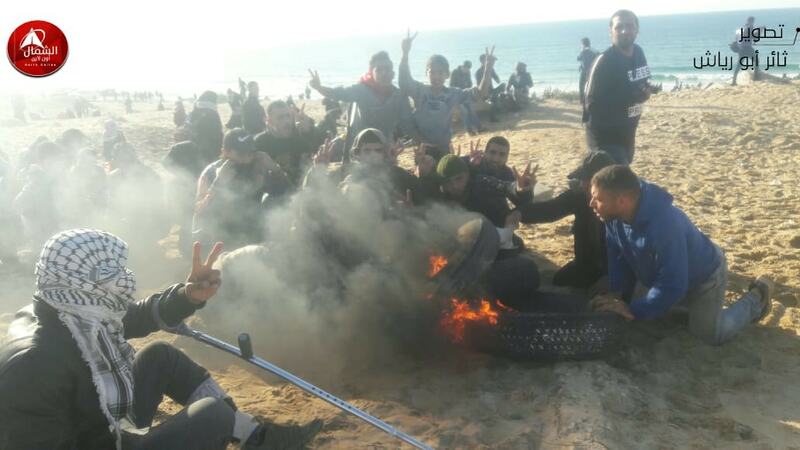 Palestinians in the northern Gaza Strip burn tires during the riot accompanying the mini-flotilla (Supreme National Authority Facebook page, January 29, 2019). However, on February 5, 2019 a mini-flotilla was not held and instead the organizers held a protest demonstration at the Gaza port. It seems that Hamas wants to lessen friction with the IDF at the present time because of the negotiations being held with Egypt. Only time will tell if the mini-flotillas and their accompanying riots will return or a replacement will be found that involves less friction with the IDF. 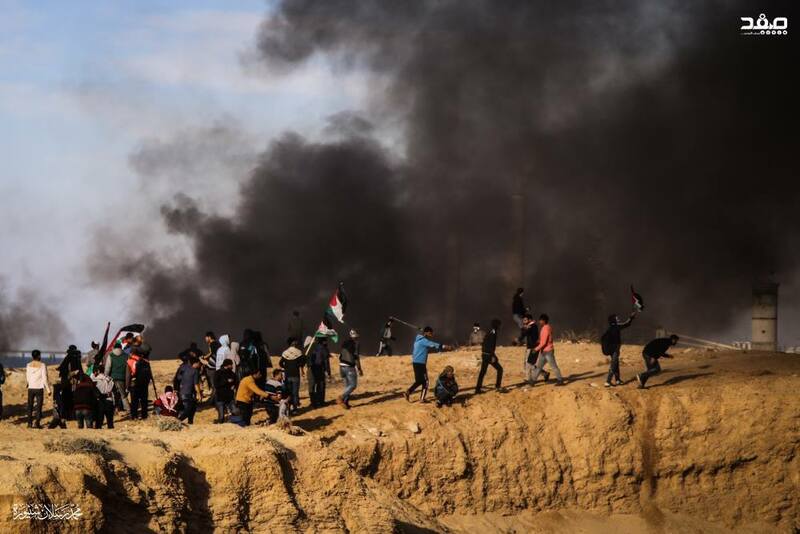 On January 26, 2019 Palestinian sources reported the launching of incendiary balloons targeting the Israeli communities near the northern Gaza Strip and east of Gaza City (Twitter account of journalist Safinaz al-Louh, who represents herself as the Amad correspondent in the Gaza Strip, January 26, 2019; al-Khalij Online, January 26, 2019; qudspress.com, January 26, 2018). According to other reports, on the evening of January 26, 2019, the networks in the Gaza Strip that launch incendiary balloons and the night harassment groups formally announced the renewal of their activities (Amad, January 26, 2019; al-Mushraq News, January 26, 2019). 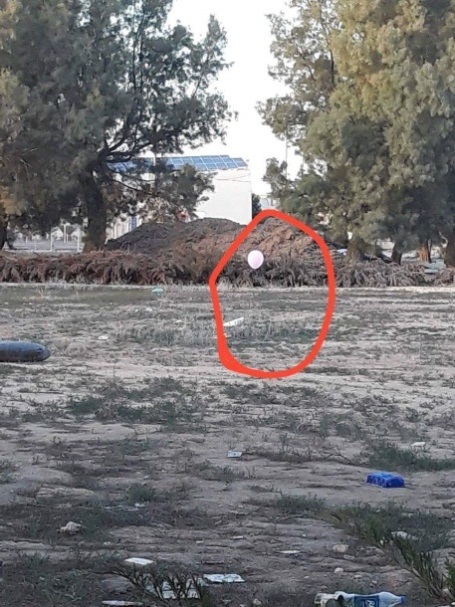 Right: A cluster of balloons with a suspicious object attached to it, launched from the Gaza Strip on February 4, 2019. It landed in an open area in the western Negev (Palinfo Twitter account, February 4, 2019). 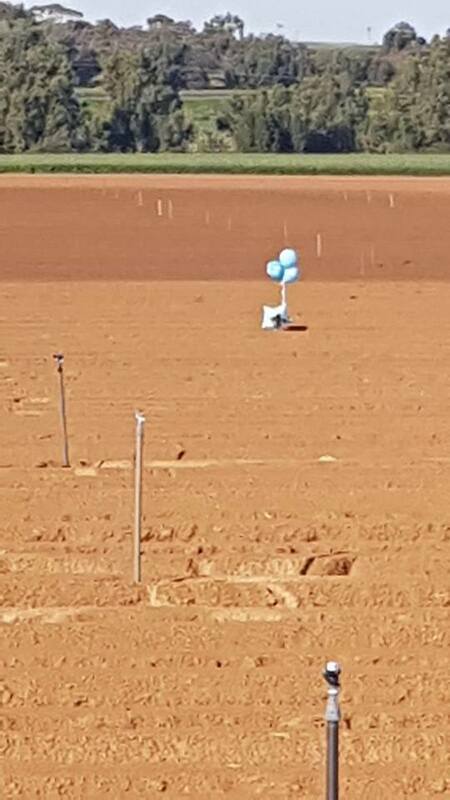 Left: A booby-trapped balloon launched from the Gaza Strip on February 3, 2019 that landed in an open area (Palinfo Twitter account, February 3, 2019). So far there have been only sporadic launchings of IED balloons, but not a full-scale renewal of arson terrorism. Apparently full-scale night harassment has also not been renewed. However, in ITIC assessment, Hamas reserves the option of using those tactics in case of difficulties during contacts for an arrangement.